This gorgeous girl is not only a brilliant scriptwriter and a great actress but also a total maths nerd and video game geek. She holds two university degrees: mathematics and music performance. Similarly to what I said about Captain Kirk from Star Trek, she proves that you can be smart, beautiful and creative at the same time. But she also is a girl, so she inspires me even more. What I like about her is that she is an actress who starts projects of her own. She inspired me to write a play, and guess what? We represented it this year in my school. And that was the day I discovered I loved to be on stage. She proves to be a great singer in Joss Whedon’s Dr. Horrible’s Sing-Along Blog, which I highly recommend you watch. She is also the writer and main actress of the web series The Guild, which is about a group of MMO (Massive multiplayer online role-playing games) players. I highly enjoy all of her performances and I want to grow up to be more like her. Piccard was, along with Brian Jones, the first to complete a non-stop balloon flight around the world. This amazed me because what people do mostly is to beat previous records. Few people are “firsts” these days, specially in something as old as ballooning! He wants to repeat the adventure, but this time on solar-powered plane designed and constructed by his team. He says that this is to prove that we can rely on solar power for everything. That if we can fly one man around the world today, it’s just a matter of time to fly two hundred. And no one could ever say again that it is impossible to get rid of our dependency on fossil fuels. The project is called Solar Impulse and dubbed “a great human adventure”. On the Solar Impulse website, you can read a fantastic Jules Verne quote: “All that is impossible remains to be achieved”. It deeply inspires me that there are people like Bertrand Piccard in the world, innovating and pushing the human race forward. I sincerely hope he and his team succeed and prove their plane can work day and night on solar power. Honouring the name of this blog, I’ve purchased their set of badges, or the “adventurer” package on their website (you can also personalize a solar cell or write your name on the plane). They’re awesome! Check out his incredible talk on TED. I want to be like him when I grow up. Actually, I’m getting a small craft pilot licence as soon as I’m old enough to do so. But what’s the lesson you can learn from both? They do what they love. Unless you do what you love, you have zero chances of success. At least, of this kind of success: the kind that leaves a mark and inspires others to do the same. If you are a parent, I encourage you to present this kind of people to your children as role models instead of what they usually get from TV: Hanna Montana, Lady Gaga, etc. It really makes a difference. Best Things I’ve Done: Learning A New Language. Update! For an in-depth guide on getting started with languages, check out How To Become A Polyglot. I first started learning English in school at the age of 6 and French at the age of 12, but I never became fluent in any of those languages until I finally understood the real benefits of speaking those languages. The moment I realised I really wanted to become fluent in English was when I was watching Blade Runner in said language with Spanish subtitles and I understood one line they said, then read the subtitle line and said “but it’s not the same thing he said!”. In that moment I noticed that there are certain thoughts and messages that can only be expressed in one language. Every time I watch now a film in English with subtitles (when I watch it with someone else) I can see the subs say the same thing the characters say, but it’s not quite the same thing. Many deep levels of film lines are lost in translation. But then it hit me even harder: “Wait. What about books? All my favourite books are in English!”. Now I really, really had to learn English. The same thing happened to me with French. I wanted to read Jules Verne and many other writers as they originally intended their thoughts and words. I don’t want to risk missing anything. I don’t believe in translations any more. Lately, I’ve been thinking how great it would be to read Solaris in Polish. It’s one of my favourite novels so it might be worth it. But there’s one more wonderful thing about foreign languages. It’s the moment you realize you can actually think in a different language. You have to experience that (it sounds like Also Sprach Zarathustra and it feels like awesome). no more translating word-by-word in your head before speaking. Now you are expressing yourself with a whole new set of words and even different rules. Along the lines of the previous idea, you are thinking differently. Such a great brain exercise, isn’t it? You may even be able to express ideas you couldn’t express before. The more languages you speak, the better you understand yourself. It’s like learning new vocabulary, but in a whole new level: learning new syntaxes. Also, you feel like you understand something you previously didn’t. When you translate in a language word-by-word, you don’t quite think of it as anything more than a different set of words, but when you use it in your head, to think, it’s an eureka moment. That set of strange words and rules finally make sense. Now you could study Shakespeare and be quite an elite, and you could charm the critics and have nothing to eat, just slip on a banana peel the world’s at your feet! Make ’em laugh, make ’em laugh, make ’em laugh! “Make ’em laugh” is effectively what I learnt from this character. I’ve discovered that a witty line can make a point, and a funny story can win an audience. Now children, Do Re Mi Fa So and so on are only the tools you use to build a song. Once you have these notes in your heads you can sing a million different tunes by mixing them up. From Maria I learnt that there was much more to music that I previously thought. After watching this film, I listen to music in a completely different way. I appreciate music much more now, to the point of taking singing and piano lessons. I love this quote because it reflects exactly how hard it is to explain to someone the power of confidence and positive thinking. It sounds like you are deluding yourself with a confidence overload, and in fact you are, but that’s the only way to unleash the power. If I had to pick only one thing to be successful, it’s this one. Believe in yourself. [about flying an alien vessel] How difficult can it be? Up, down, forward, reverse. I’ll figure it out. Nothing is that complicated. This character made me change the way I look at things. You don’t have to focus on the problem and try to eliminate it, you have to focus on the purpose and find a way there. 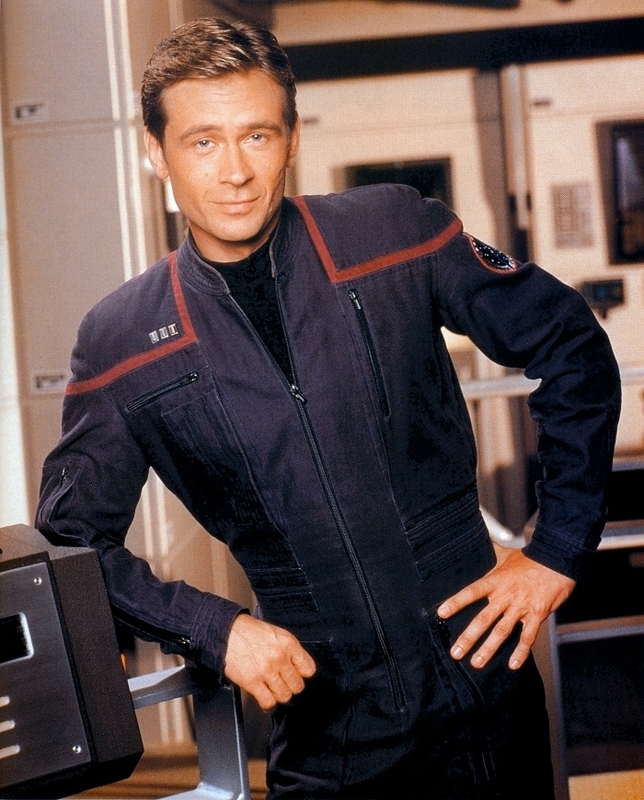 This may not look like it, but it was a major shift in my thinking triggered by an Enterprise episode when I was twelve. The quote above has nothing to do with the lesson, but I like it. 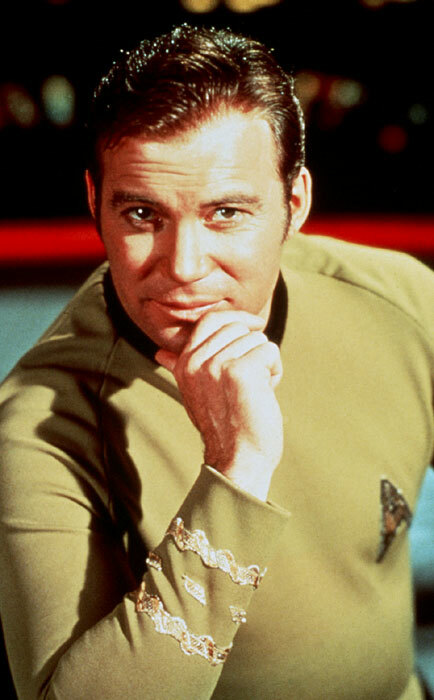 What I learnt from Captain Kirk (although it’s displayed by almost every character in the Star Trek franchise) is that you can be smart, athletic and many other things at the same time and it’s not only OK but preferred. I consider myself lucky to have learnt the importance of being well-rounded at an early age (I watched Star Trek for the first time when I was about eight) because I was able to break free from my maths nerd stereotype an enrich my life enormously.